Edmonds Marketing runs internal strategic marketing masterclasses for senior executives. These half-day events are designed to help leaders understand how the latest developments in strategic marketing can assist their organisations over the next three to five years. To attract and retain staff. 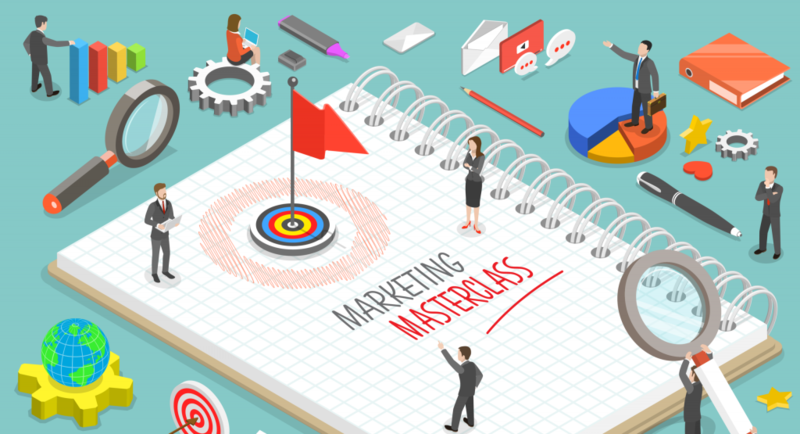 As well as developing your understanding around the scope of modern marketing, the strategic marketing masterclasses are an opportunity to discuss both ideas and case studies, as well as develop consensus with your internal team. A professionally facilitated session means your team can take on new insights and have the opportunity to articulate their own point of view, within a comfortable setting free from judgement. Digitisation vs Digitalisation and how they can impact your business model. How to integrate corporate messaging for clarity and consistency. How to translate brand vision into a plan a whole organisation can follow towards a customer-orientated culture. You will be encouraged to think deeply about customer concerns and to begin to solve issues within a highly skilled group. Participants receive a preparation pack in advance of the workshop – this helps to gather relevant information. The handbook allows participants to reflect on insights throughout the workshop. Once completed, the handbook also helps to offer a clear path towards agreed outcomes. To discuss a marketing masterclass for your team, contact damien@edmondsmarketing.com.au or call 07 3175 9905.